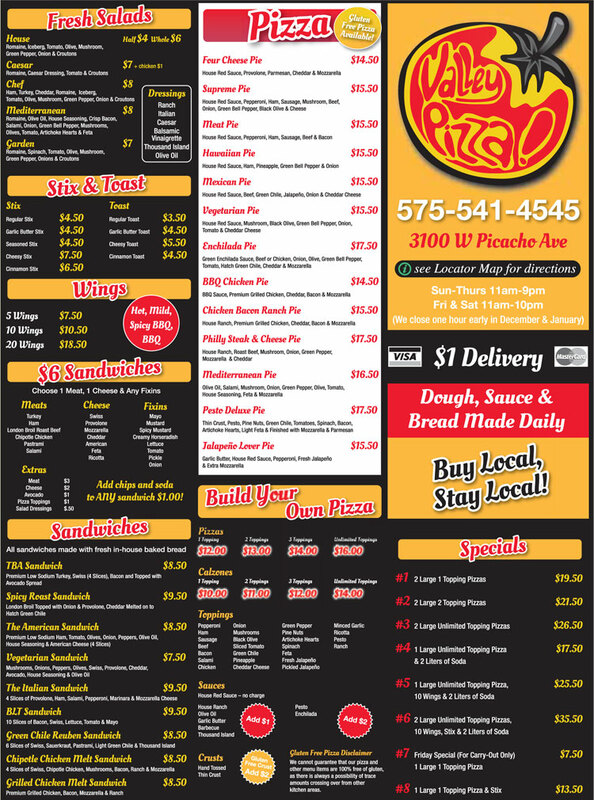 Valley Pizza, located on Picacho Ave, offers an assortment of pizza, sandwiches, and more. Build your own sandwich with your choice of meat, cheese, toppings, and extras. Try our Spicy Roast Sandwich, BLT, or another one of our 14 sandwiches. We also have fresh salads, wings, and several sticks and toasts to choose from. You can build your own pizza or choose one of our gourmet options, such as Enchilada Pie or the Rueben Pie. Calzones are also available with customized toppings.